A single ‘triangle’ loop in Hubbles Lake. Allan Beach features a large sandy area for the start and finish. We use a mass start so seed your self appropriately. 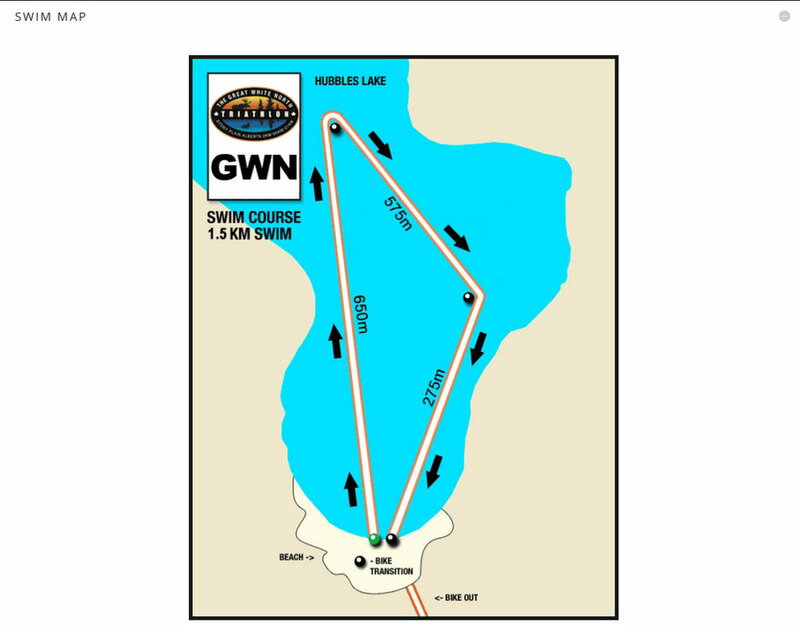 This is a calm lake and the course is well marked and we will have a large contingent of lifeguards, scuba divers, and kayakers to ensure your safe completion of the first of three disciplines. Volunteers will be on hand to aid in removing wetsuits in preparation for transition on to the bike. Why do 40km when you can do 50km! After you head out of Allan Beach Resort you turn right on Hwy 16 and head to Hwy 779 and turn south and head into Stony Plain. Turn right at 44th ave, turn right at 50th st, head past the pavilion and right onto parkland hwy. 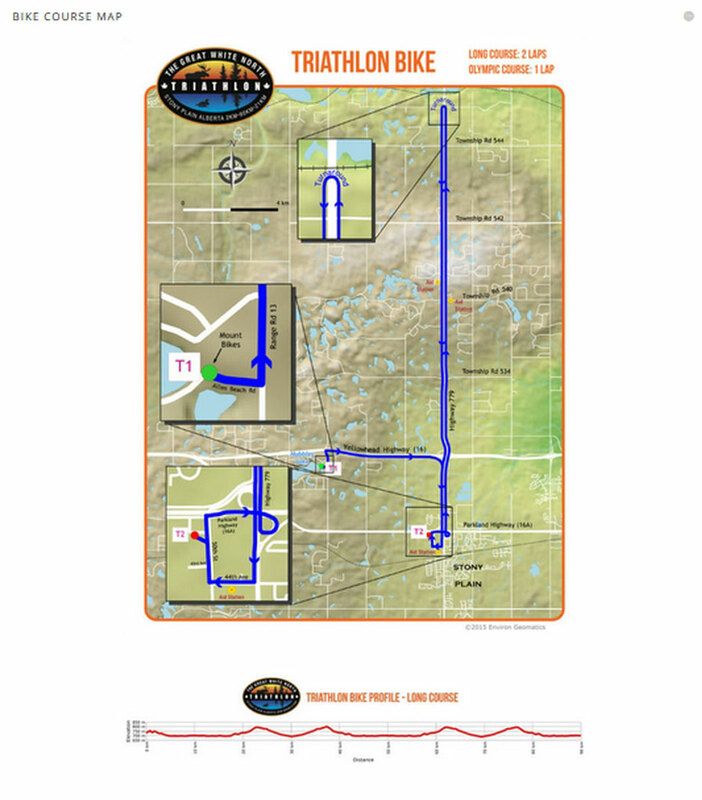 Take the overpass interchange onto hwy 779 and head north to the turn around 19.5km out, head back to Stony Plain and rack your bike. Technical support will be provided on course but make sure you have the appropriate supplies in case of mechanical issues. 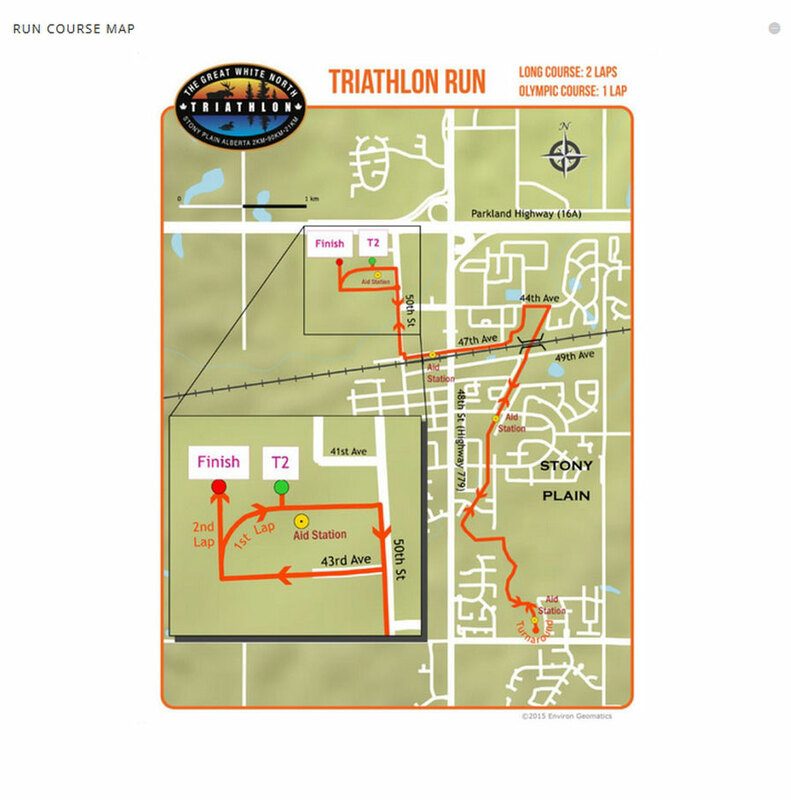 Slightly longer than the usual 10km, the 10.6km run course takes you through the town of Stony Plain and it’s trail system – a single loop of the half distance course. You head around the pavilion pond and out on 43rd ave, turn right on 50th st and turn left on 47th ave, follow to 45th ave and then turn right and head to the trail system. The turnaround is located at the 5.25k mark, head back to the pavilion to finish.